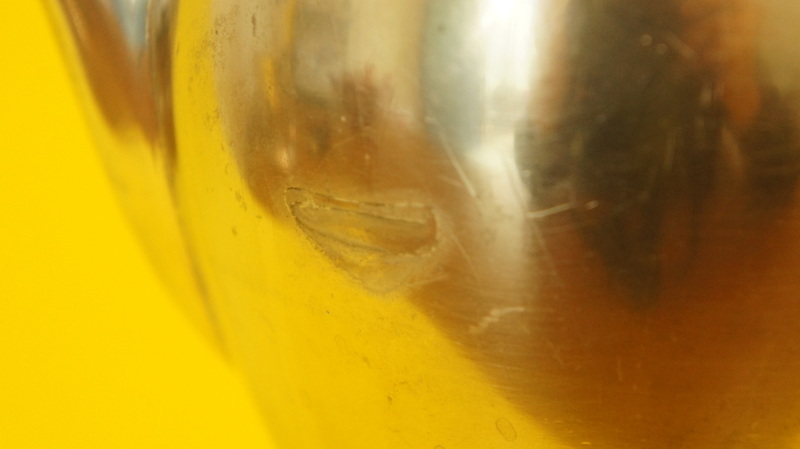 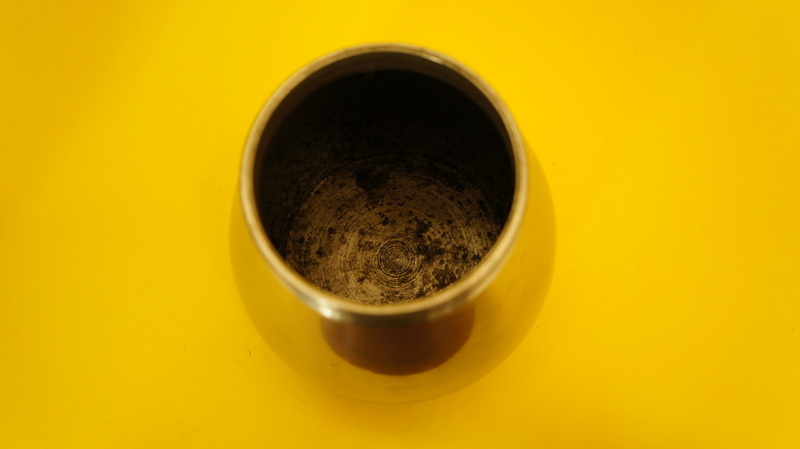 There’s no maker’s mark on this retro moka pot, which I have to say is kind of surprising. 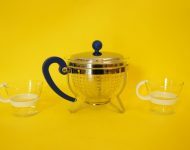 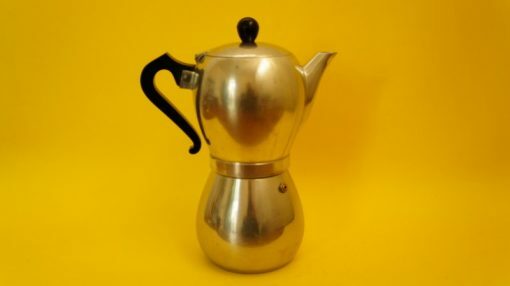 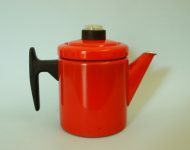 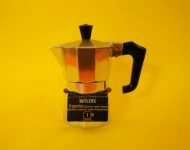 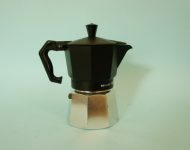 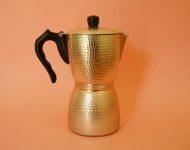 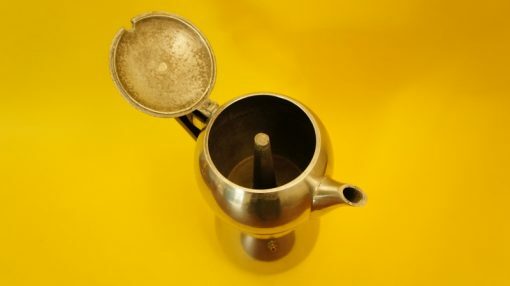 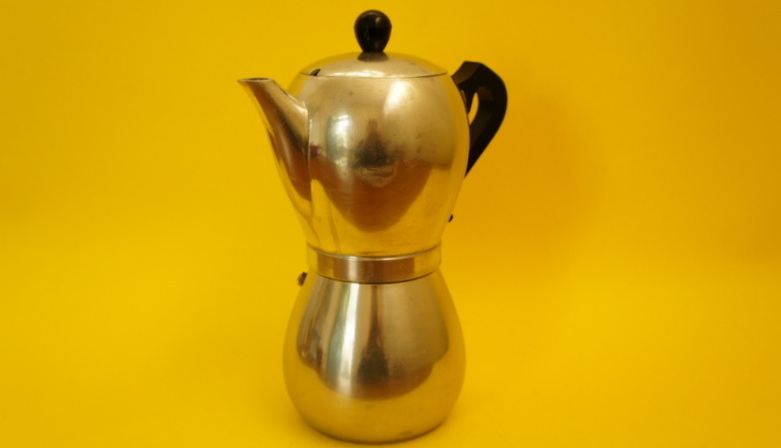 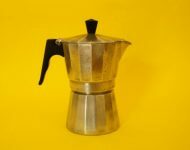 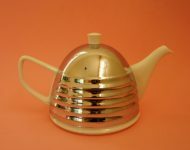 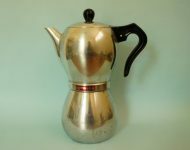 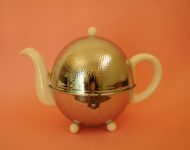 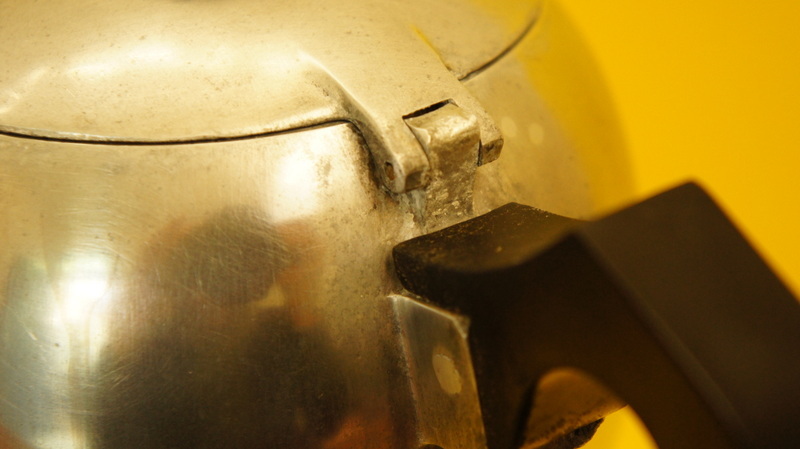 It’s not unusual to find unmarked cheap knock-offs of the more standard moka pot shape, but a stylish coffee pot like this one would normally have a maker’s stamp. 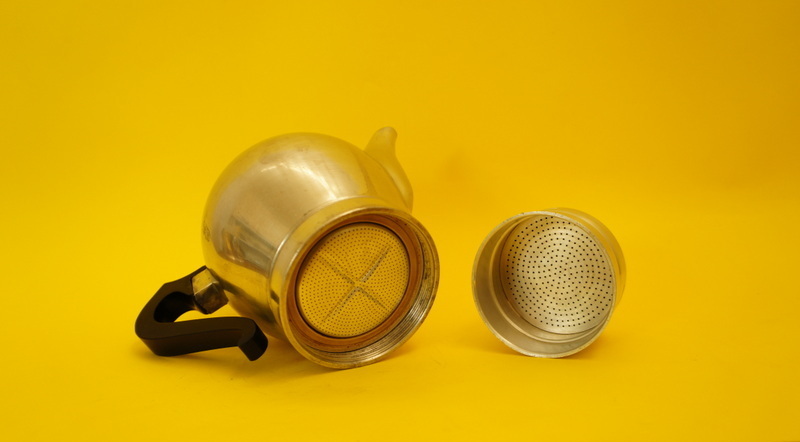 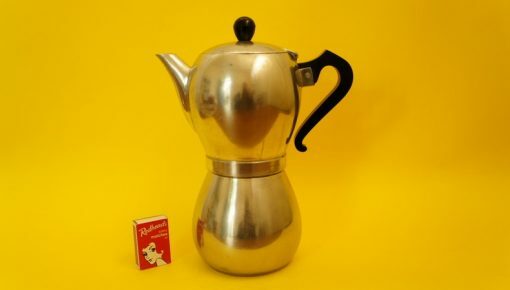 Like yesterday’s smaller moka pot, this larger version isn’t in the best condition, but I just love the shape so much that I just had to have it – despite it being in less than mint condition and rather pricey! 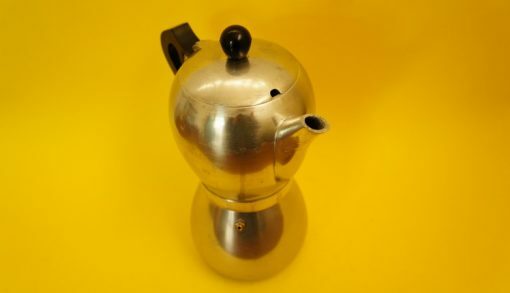 In my defence it is a fairly unusual design, and its also a nice decent size, so I think well worth the money – I just hope someone out there agrees with me!